Hers is one of the great love stories of the Wild West - and ultimately one of the saddest. She was born in 1824, to Silas and Lucy Parker in Illinois. When she was 9 years old the family moved to north-west Texas to follow the American Dream - land and a better life. 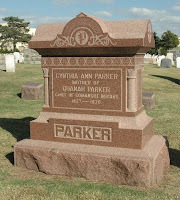 They went to Fort Parker, established by Cynthia’s grandfather, in what is now Limestone County. But on May 9, 1836, around a hundred Comanche and Kiowa warriors attacked the fort, killing many of the men, including her grandfather. Cynthia and five other captives were led away. One teenage girl escaped; four others, including her brother John, were later released for ransom. Cynthia was beaten and treated as a slave at first, but her life improved when she was adopted by a Comanche couple, who raised her like their own. While still barely a teenager she married Peta Nakoni, (Camps Alone), a Comanche chieftain. It turned out to be an extraordinarily love match. It was traditional for Comanche chiefs to take more than one wife but he never did. 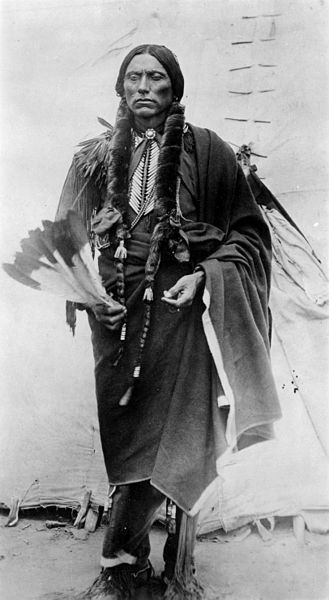 They had three children; the future and famed Comanche chief Quanah Parker; another son Pecos (Pecan), and a daughter Topsannah (Prairie Flower). A newspaper account from 1846 describes how a trading party led by Colonel Leonard G. Williams came across a tribe of Comanches camped on the Canadian River. 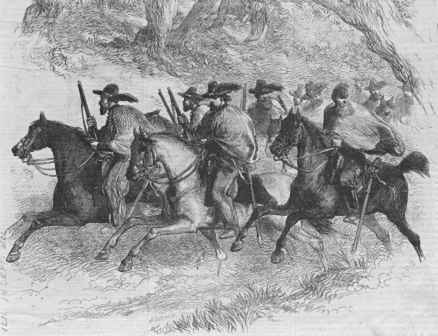 Williams offered a ransom of 12 mules and two mule loads of goods to the tribal elders for Parker but he was refused, and in subsequent sightings, Parker would run away and hide to avoid being traded back. The Indians said she loved her husband and children too much to leave them. These reports were not believed. In the winter of 1860, a small band of Texas Rangers surprised a group of Comanche at a meat camp at Mule Creek on the Pease River; most of the men were away and the raid turned into a massacre of women and children. The Rangers executed a man they thought was Nakoni but he later turned out to be a Mexican slave. Parker attempted to flee on horseback with her daughter but was captured. It was then the Rangers realized that the woman in the deerskin and moccasins had blue eyes and that she might be the missing Cynthia Parker. When she overheard her name banded around by the Rangers she patted herself on the chest and said, “Me Cincee Ann.” Her fate was sealed. Cynthia Ann and Prairie Flower were taken back to an army post. 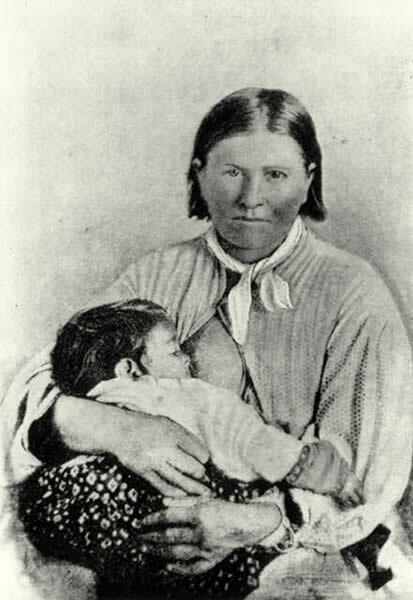 While traveling through Fort Worth she was photographed with her daughter at her breast and her hair cut short-a Comanche sign of mourning. She thought that her husband was dead and her sons too. The story of her ‘rescue’ transfixed the nation. She was treated like a hero. Texas granted her four and a half thousand acres of land and a pension of $100 per year. Her brother, Silas Junior., was appointed her guardian in 1862, and took her home to Van Zandt County. 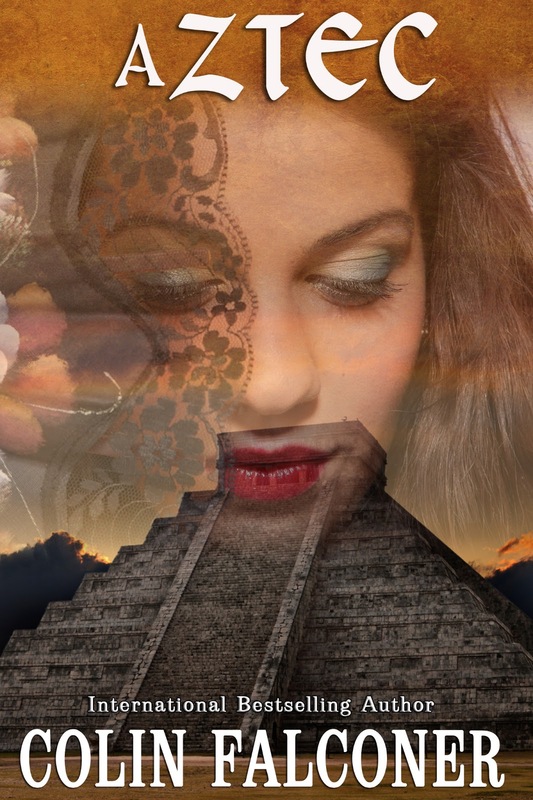 But she never adapted to her new life. She was shuttled from one family to another, often locked in her room to prevent her escaping. In 1863, she heard that her son Pecos had died of smallpox, and a few months later, Prairie Flower died of influenza. She was overwhelmed with grief. Later she learned to weave and sew and created home remedies from local plants and herbs. But she she rarely spoke much. Broken in spirit and an exile among her own race, she died in 1870 from complications arising from a long and self imposed fast. She never knew that her oldest son, Quanah had become the last Comanche Chief, later to become the principal spokesman of the entire Comanche nation after their defeat. 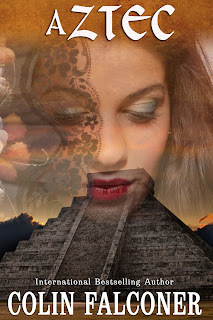 Colin Falconer is the author of the internationally bestselling AZTEC and over twenty other novels. What a bittersweet story. Thanks for posting. Oooh...what an incredibly sad story. :( I have seen that picture of her with her baby before, but never who it was before now. This was an amazing story and one which should never be forgotten. Thanks for sharing it, Colin!